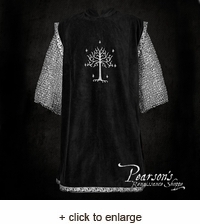 This black surcoat with silver trim is a truly distinctive piece of clothing. 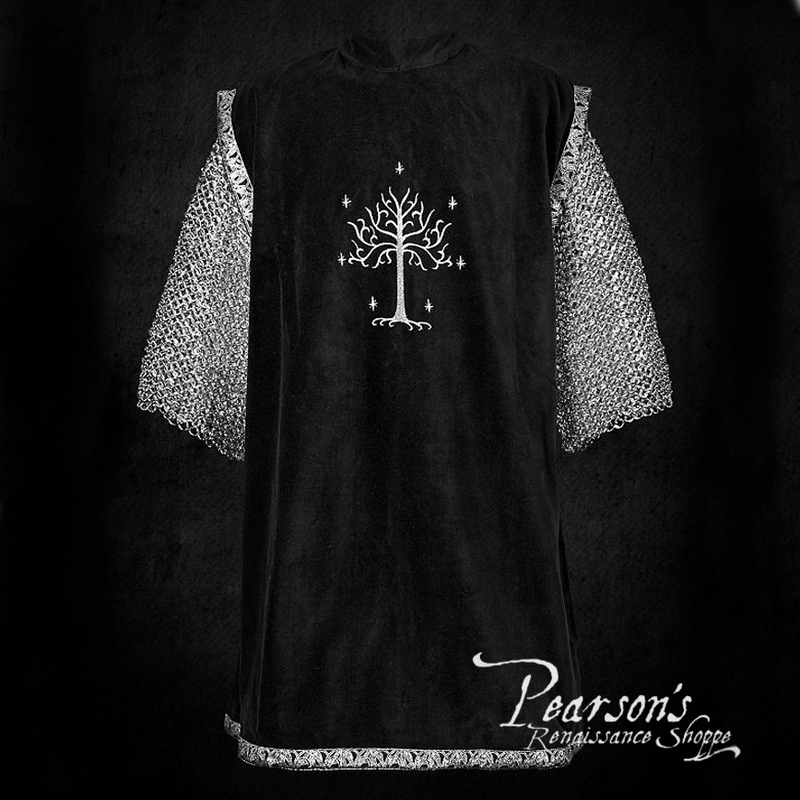 Seven glittering stars encircle the delicately embroidered, silver tree at the middle of the chest. This decorative grouping is a cool contrast to the velvety, midnight black cotton background. As cool as a mid-winter sky, silver edging decorates the hem and arm openings. The short, stand-up collar is slit at the middle. 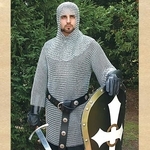 A truly elegant garment of identification – for court as well as for the field of honor.